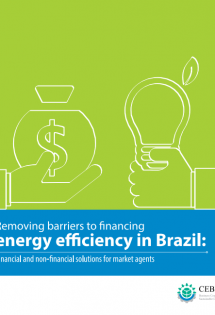 Many companies in Brazil and around the world have already begun to manage the impact of their activities regarding climate: acquiring, divulging or establishing GEE emission reduction goals or exploring market-oriented strategies. 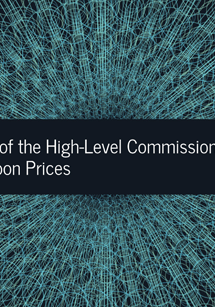 Despite the uncertainties regarding the future of market regulations and pressures, the present context is already sufficient for the companies to obtain current benefits by managing their impact on the climate. 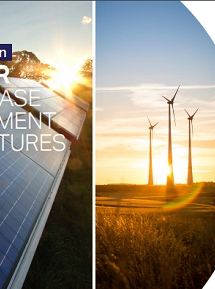 The results may be divided into two categories: tangible returns from cost reductions or revenue increases, or intangible returns related to image improvement, risk reduction and better preparation to meet future emission restrictions. The companies need to adapt to new challenges whether from an ethical or pragmatic standpoint. The function of the Thematic Chamber of Energy and Climate Change is to facilitate this process, assisting the companies to take advantage of new market opportunities and minimize their risks. 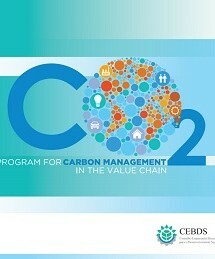 Offer a secure platform for the CEBDS companies to gather to exchange knowledge, experiences and better practices; to facilitate partnerships and undertake initiatives geared towards the practice of climate responsibility. 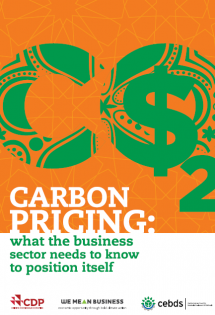 Provide information, guidance, products and tools that aid the CEBDS companies in implementing, measuring and divulging efforts pertaining to dealing with climate issues. 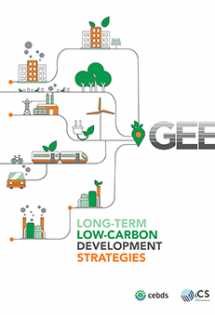 Portray in a proactive manner the vision of the CEBDS companies in matters regarding climate change, in debates and in policy formulation with governments and other stakeholders. 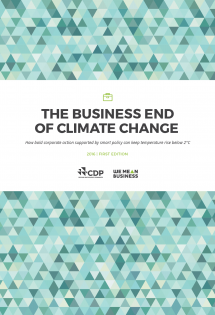 Disseminate better practices, divulging the contributions of the CEBDS companies towards mitigating the global warming phenomenon in a simple and understandable manner. 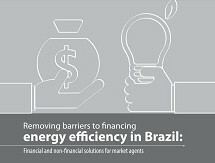 Act as a catalyst for the transformations required to deal with the climate issue, stimulating Brazilian companies to contribute to the reversal of the global warming phenomenon. 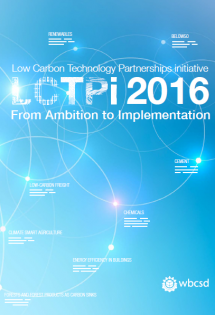 The purpose of the program is to train suppliers of the associated companies in management, measurement and development of greenhouse gas emission (GEE) inventories. 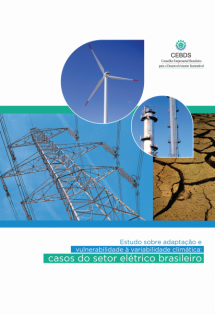 The study proposes paths for the Brazilian electrical grid to be strengthened in sustainable manner. 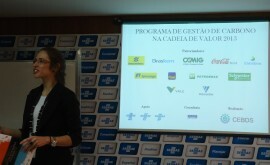 The project promotes training of large company suppliers for development of Greenhouse Gas Emission (GEE) inventories. 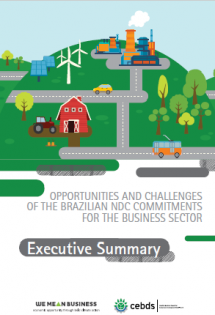 The Action Plans that will be discussed during the Brazilian roundtable will be consolidated internationally and presented ate the 21st United Nations Conference on Climate Change (COP 21), at an event organized by the global partners (WBCSD, IEA e SDSN). 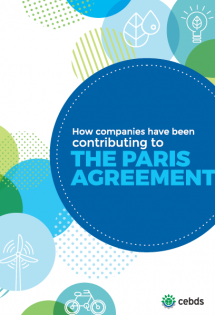 The study “How companies have been contributing to the Paris Agreement” points out that between 2015 and 2016 private sector initiatives in the country aimed at reducing GHG contributed to 217.9 million tCO2e ceasing to be emitted into the atmosphere. 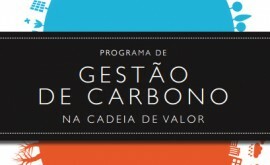 On October 19, Brazil will host a global edition of the Talanoa Dialogue on Climate Change. 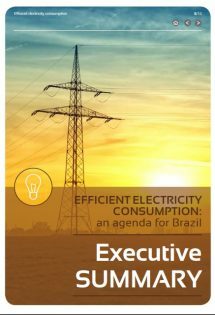 An analysis focusing on the Brazilian reality on the Special Report of the Intergovernmental Panel on Climate Change (IPCC) about climate change scenarios will be presented. IEC supports We Are Still In from the We Mean Business Coalition. We will also continue to support climate action to meet the Paris Agreement. 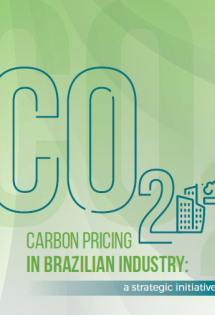 The Carbon Pricing Leadership Coalition (CPLC), a World Bank initiative of which the Brazilian Business Council for Sustainable Development (CEBDS) is a strategic partner, carried out its second High Level Assembly Meeting. 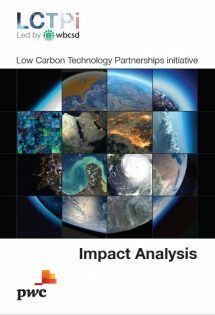 A landmark report reveals that pursuing sustainable and inclusive business models could unlock economic opportunities worth at least US$12 trillion a year by 2030 and generate up to 380 million jobs, mostly in developing countries. 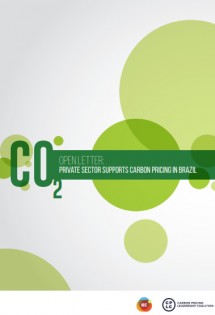 In a partnership among the CEBDS, CDP, We Mean Business and technical support by WayCarbon, a workshop took place in São Paulo to approach carbon pricing and its importance to foster actions to drastically reduce carbon emission in companies from different sectors.